Test percentile scores are just one type of test score you will find on your child's testing reports from school. Percentile scores are almost always reported on major achievement tests that are taken by your child's entire class. These scores will also be found on individual diagnostic test reports. Test percentile scores are important for making decisions about your child's education, especially when considering a special education program. Understanding these scores can help you gain a clearer picture of your child's abilities and help you spot areas where they may need extra assistance. In some cases, specific scores on an exam may be required in order to receive specialized assistance or to gain admission to certain programs. It is important to understand how a percentile rank score differs from a percentage score. The two terms seem similar, but they have very different meanings. Most parents and students are familiar with percentage scores. These are the results you remember getting when you took a test in school. 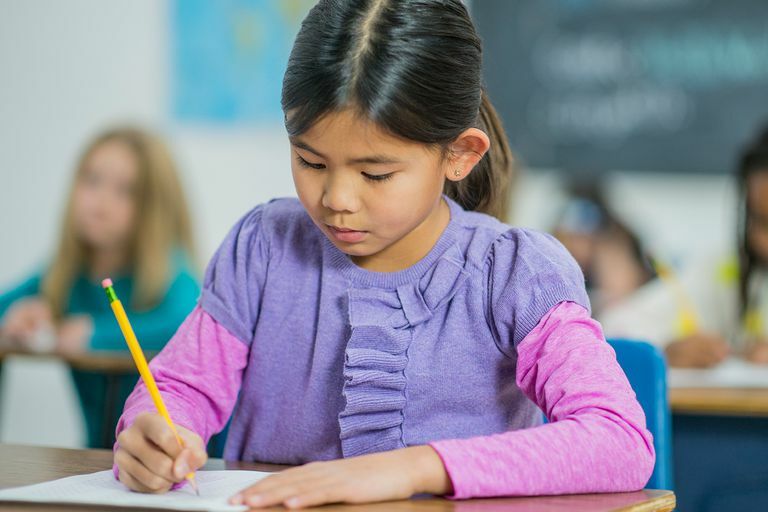 Percentile scores on teacher-made tests and homework assignments are developed by dividing the student's raw score on her work by the total number of points possible. So, for example, if she got 8 points out of a possible 10, her percentile score would be 0.8, or 80 percent. Such scores are an indicator of how well a student performed on a particular assignment or test. However, they do not provide information about how the student compares to others in his or her peer group. Percentile rank scores, on the other hand, allow for this. These scores are often used on what are known as norm-referenced tests. Such tests allow parents and educators to compare an individual child's score to the scores of other children in the same age group. Unlike the percentage scores, percentile ranks are not an indication of how many questions your child answered correctly, or what your child does or does not know. Instead, the scores indicate how well your child did relative to other students who have also taken the test (i.e., how his skill level compares to that of his peers). Percentile ranks scores on norm-referenced or standardized tests are calculated differently than percentage scores, and the calculations are typically included in test manuals or calculated with scoring software. Percentile ranks are often expressed as a number between 1 and 99, with 50 being the average. So if a student scored a percentile rank of 87, it would mean that he performed better than 87 percent of the other students in his norm group. It can be helpful to look at how these percentile scores are sometimes used on educational assessments. On many tests that are nationally norm-referenced intelligence tests, a standard score of 100 is equal to the 50th percentile. Students scoring at this level on the test are well within the average range. The SAT is an example of a standardized test that provides a score percentile. Often used as part of the college admissions process, a score of 1400 or higher (or the 75th percentile) is considered a good score. This number indicates that 75 percent of students scored at or below 1400, while 25 percent of students scored above 1400. If you take a cognitive abilities test and score in the 85th percentile, it would indicate that your score is better than 85 percent of people who also took the same test. Several other types of standard scores may also appear on test reports. A single test may provide percentile rank scores for different domains such as reading comprehension, verbal ability, and reasoning as well as an aggregate score. These scores are often used for assessment purposes and may be utilized to make educational decisions. Low percentile scores, for example, may indicate that a child needs specialized assistance in a particular area. Such tests can help educators spot specific needs that should be addressed and make early intervention possible. Percentile ranks may also be used to determine if a child qualifies for specialized assistance or admission to a specific educational program. Percentile rank scores are just one type of score you should be familiar with, particularly because this type of score is one of the most commonly used in education. These scores can give parents and educators a better idea of how kids rank relative to other children and may highlight specific areas where children could use additional assistance in order to succeed.